Drummond Estates offer Boat Hire, Fishing Permits, Caravan Pitches and more at Ardveich Bay, Lochearnhead. Our slipway is available for launching your own boat, or you can hire one of our ours. Our fishing boats are 15' long and are supplied with a 4HP Engine and Life-Jackets. 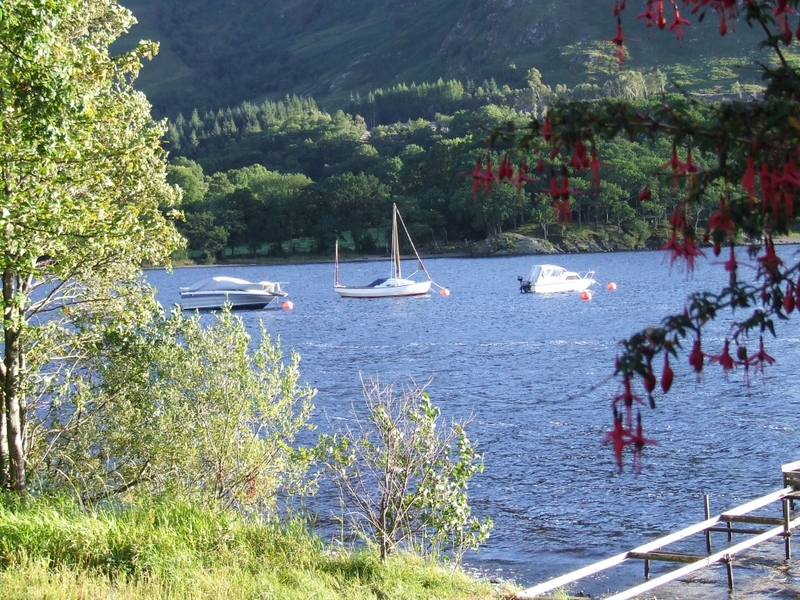 We have a number of stunning Lochside Caravan Pitches available with electrical hookups and toilet/shower facilities. We sell Daily, Weekly and Seasonal Fishing Permits, as well as a range of fishing Bait and Tackle at our on-site store. You can rent a mooring by Neish Island or use our Over-Wintering facilities to store your boat with us. 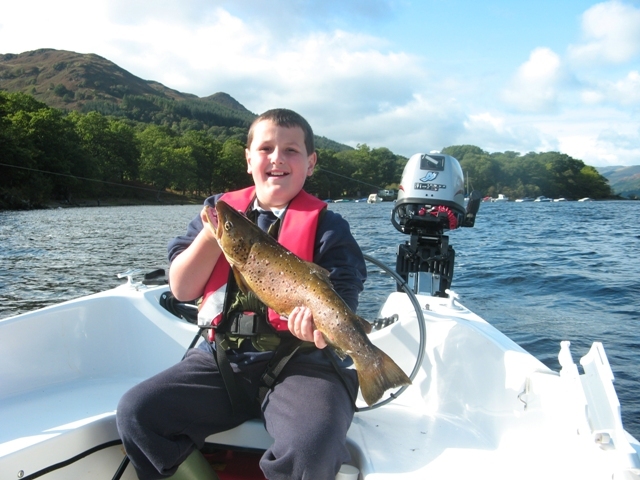 Located at Ardveich Bay, in the heart of Perthsire, Loch Earn can produce some of the largest brownies in Scotland, some running to around 10lb. It's quite feasible to boat 30 odd fish in an outing, mainly brown trout but with the occasional escapee rainbow trout also showing up! 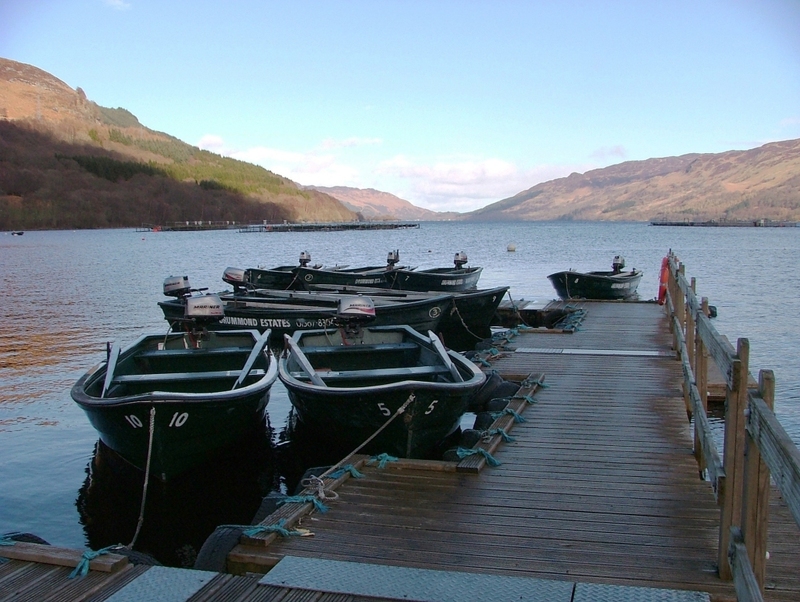 We offer a range of services for your trip to the Highlands, from Fishing Permits to Boat Hire. We have Moorings, Boat Storage and Slipway facilities. Our on-site store stocks a range of Tackle and has Rods available for hire or purchase. 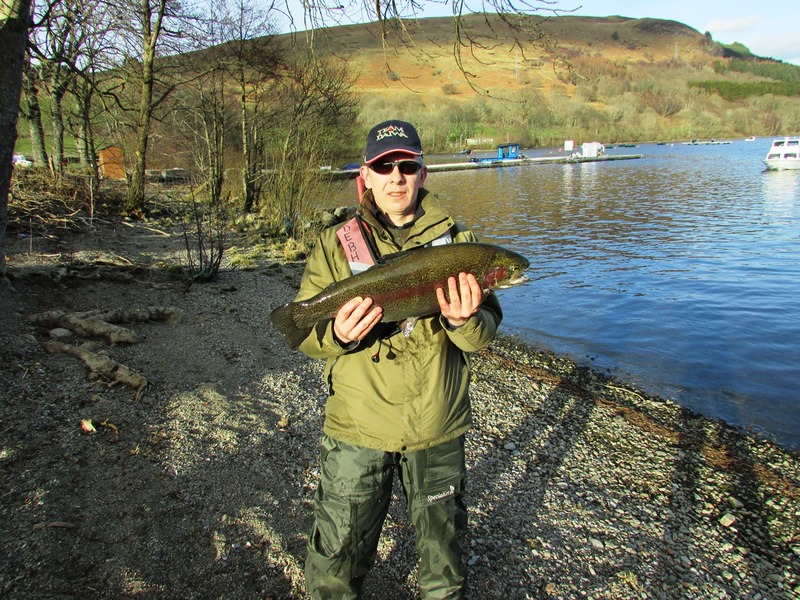 Thanks to the Drummond Estates stocking policy over the last 25 years, Loch Earn, under the right conditions, can produce some of the largest brownies in Scotland, some running to around 10lb. It's amazing when you think that before the Drummond involvement on the angling side, the average size of brown trout was a mere 5oz. This year, it was over the pound mark. Although the limit is 4 fish per rod, it's quite feasible to boat 30 odd fish in an outing, mainly brown trout but with the occasional escapee rainbow trout also showing up. Some of these have grown on to double figures, and are in amazing condition. 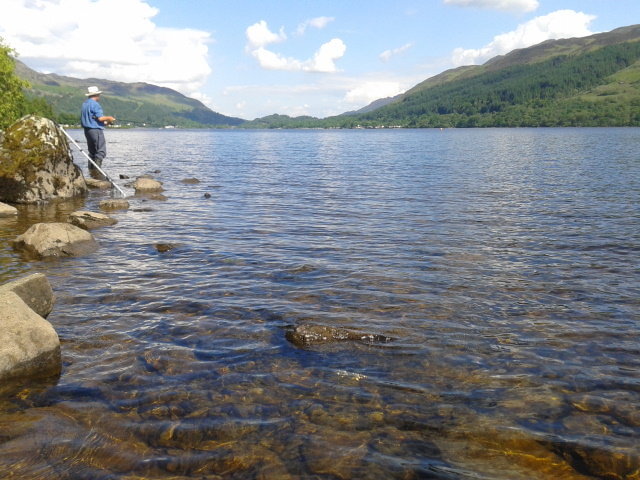 The fishing is managed by Loch Earn Fishings, which pursues an active brown trout re-stocking programme. We started stocking 25 years ago, and it has certainly paid dividends in improving the angling. In 2006, for example, we introduced 10,000 fish from 12oz to 4lb in weight. 3 to 5lb brown trout are now relatively commonplace, and my own personal best was a fish of 6lb9oz which took a Gosling. The heaviest fish recently was taken in 2015 by Dougie Lawrie and weighed 24lbs, see our gallery. Also helping the angling is the fact that the loch is covered by the River Earn Catchment Area Protection Order 1990. I know that the place looks huge to the uninitiated, being 6½ miles long and ¾ mile wide at is widest, and running to great depths. It's some 287 feet at its deepest. But in fact, it's not hard to find fish, and the golden rule is generally to hug the shoreline. Any more than 6 or 7 boat lengths out and you're wasting your time. An intermediate or floating line is all you'll need, except in March and April when you'll probably have to go a bit deeper. I don't use anything fancy as far as fly patterns go, either - Kate McLaren, Gosling, Black Pennell, Invicta and a Mini Muddler if there's a chop.